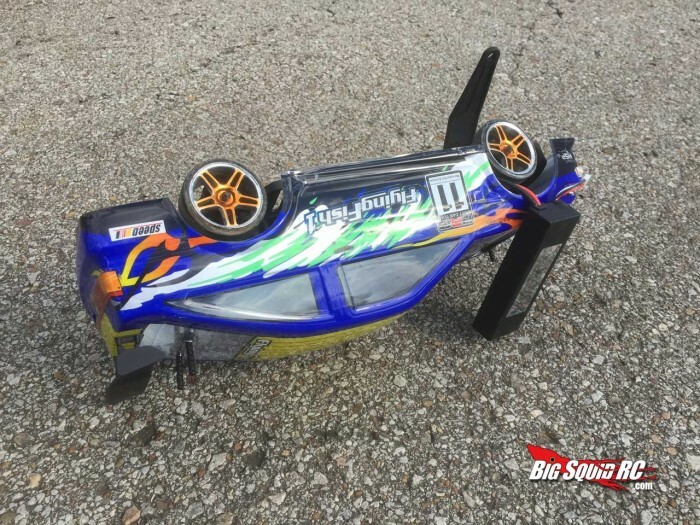 HSP Flying Fish RTR Drift car review « Big Squid RC – RC Car and Truck News, Reviews, Videos, and More! What’s up Squidders? 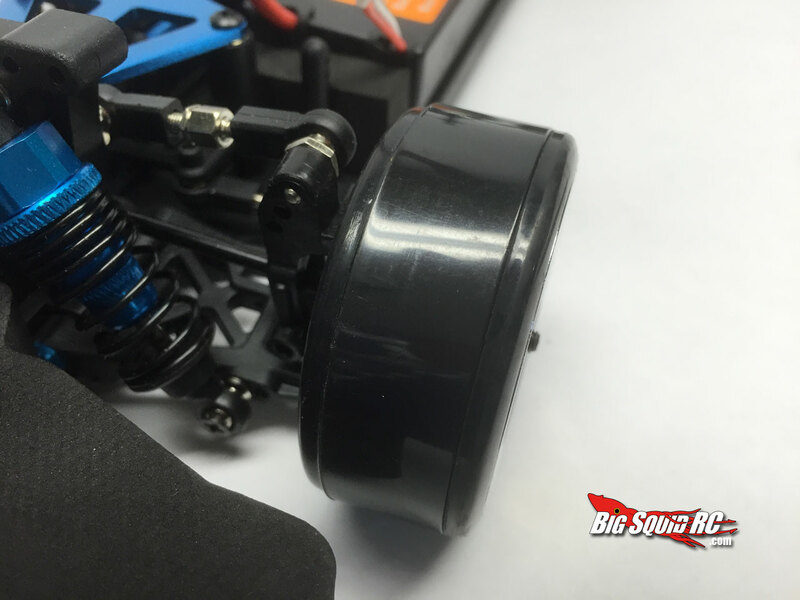 Evol here with a little bit of review action for you would-be drifters on a budget. Prior to being asked to take a look at this car I had never even heard of HSP. This end of the market was never one that attracted me when I was younger because I have always been a “buy it once” kind of guy when it comes to RC. However this review gave me a rare opportunity to take a glance at a section of the market that has largely gone under my radar. So have I been missing out all this time? Or are all of my preconceptions correct? Only one way to find out, lets take a look. Before I even laid hands on this car I did a little research. It turns out that the Exceed, RedCat and a few other versions of this car are all manufactured by HSP. So chances are any opinions you take away from this review may apply to a few other models on the market. 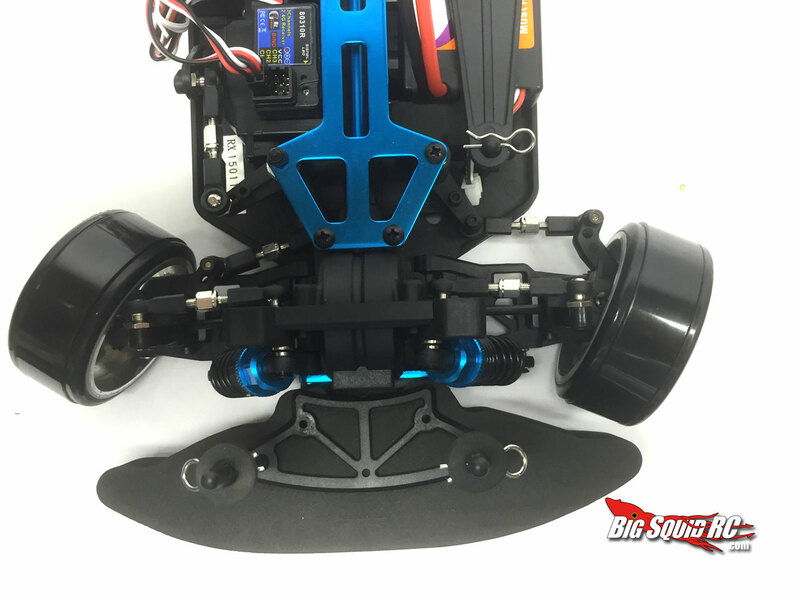 Gearbest.com hustled this car over to the big squid offices and we were off and running with this review of the newest version of their drifter, the Flying fish Pro. Yes… yes that is really the name. I think something might be lost in translation there. 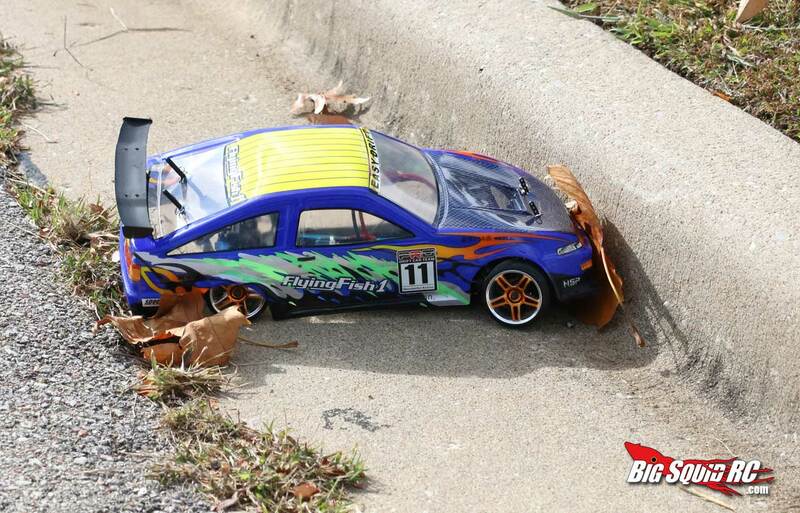 When I got the car I dropped in to see my friends at the local hobby shop to get their take on it. Over the years they have seen just about everything walk through their doors and it turns out that quite a few of these cars make it into the shop in search of parts and repair. They are not able to get parts for the HSP but the most common parts they see broken are spur gears and burnt up motors. They were quite surprised when I told them that the pro version version has a metal spur and brushless. Minds blown. Anyway enough with the blah blah, lets get some technical details out of the way and get to testing the car. Test Venues: My indoor drift track (polished concrete) and a couple of asphalt parking lots. The “Fish” has a fully enclosed drivetrain which should help keep the rocks out of your gears and the spur gear is made of steel?? Tin? Not sure. But I like the fact that they have taken care to make this car as bash-able as possible. 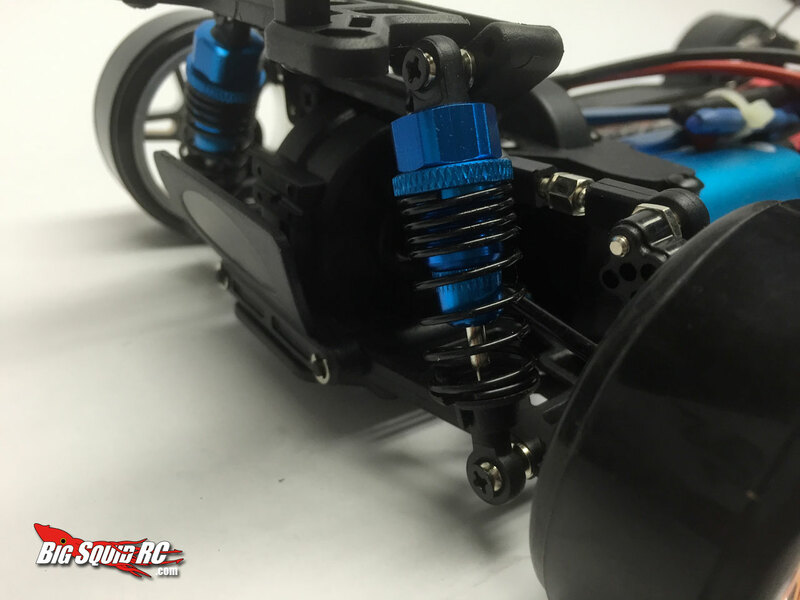 The driveshaft is also an aluminum unit and it features steel dog bones front and rear. 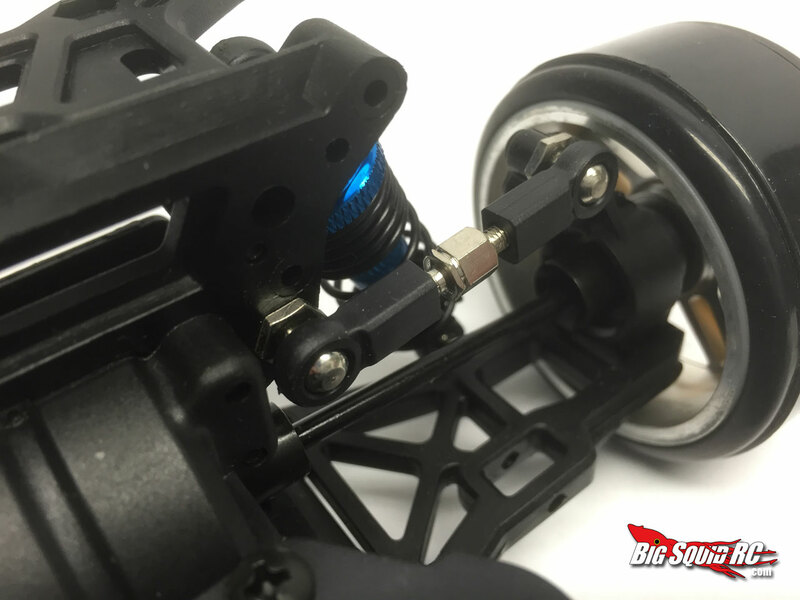 It also features adjustable push rods so the suspension is tunable, but I feel that the plastic is so flexible any setup changes won’t make much difference. I do like the fact that it comes with alloy shocks, they are smooth and perform reasonably when full of oil, more on that in a bit. 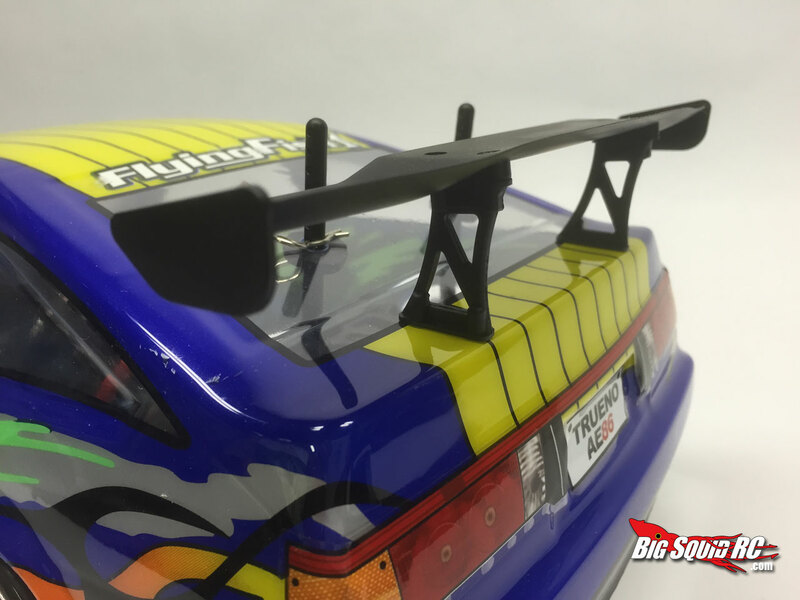 Finally I like the Injection molded rear wing. It’s the only thing that is really pleasing to the eye on the outside of this car. Phillips hardware everywhere! For me this is an annoyance but for the newcomer to the hobby it may be more convenient in the beginning. We all know what happens to phillips hardware eventually though don’t we? 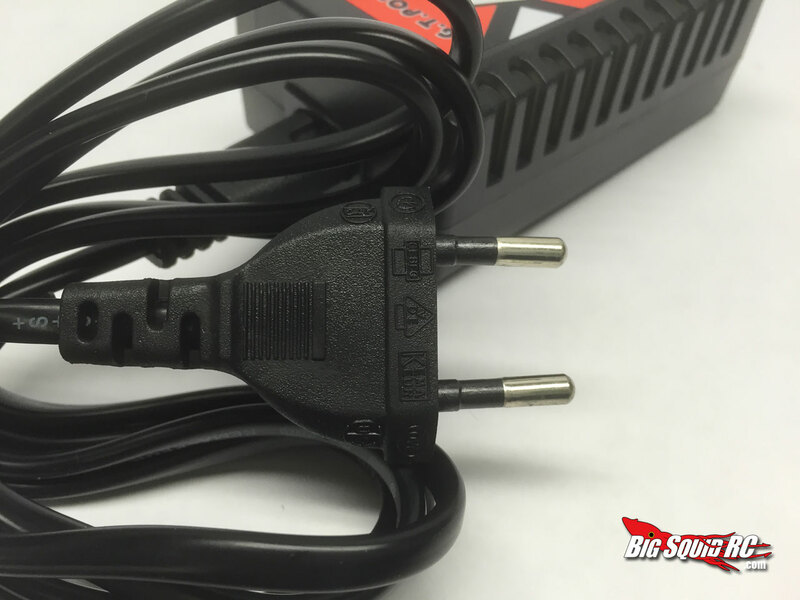 Another gripe is that the charger does not have a plug for US type AC input. 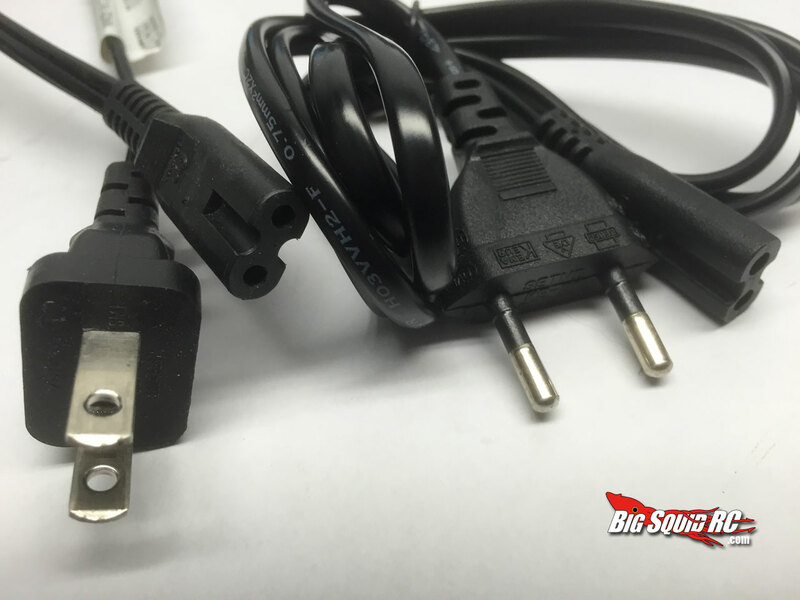 luckily my Lenovo laptop power brick cord plugged right in so I was able to test the included charger. As mentioned above the suspension is so soft that this car flexes like it’s made of foam, though this could prove to be an advantage as far as absorbing impact. I am not a fan of the body shell at all. It’s supposed to be an AE86 Trueno which is a legendary drifting platform but the color choices are awful in my opinion. Also the shell only took a couple hits off of the curbs before it showed major damage. My last nitpick is with the wheels. On the box they proudly proclaim that the pro version has chrome wheels but they really just succeed in making it look cheap. The Brushless system performed really well. Its not very fast but even after extremely hard runs the motor came off at under 100 degrees. They have geared it to run for long periods of time to keep things reliable. Speaking of runtime the fish comes with a 2cell 3500 mah lipo battery. Kids are going to love the long run times that this car can do (30 min easy). What the kids are not going to like is how long it takes to recharge. 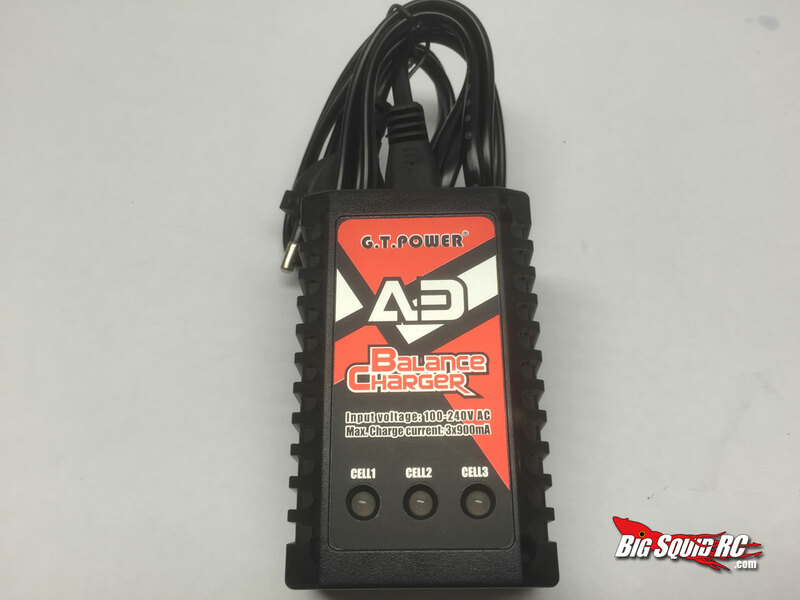 The included GT power 2S/3S balance charger only charges at 900 mA per cell. That is less than the normal 1C charge rate so it’s slow, but safe. I agree with HSPs choice to be conservative here. 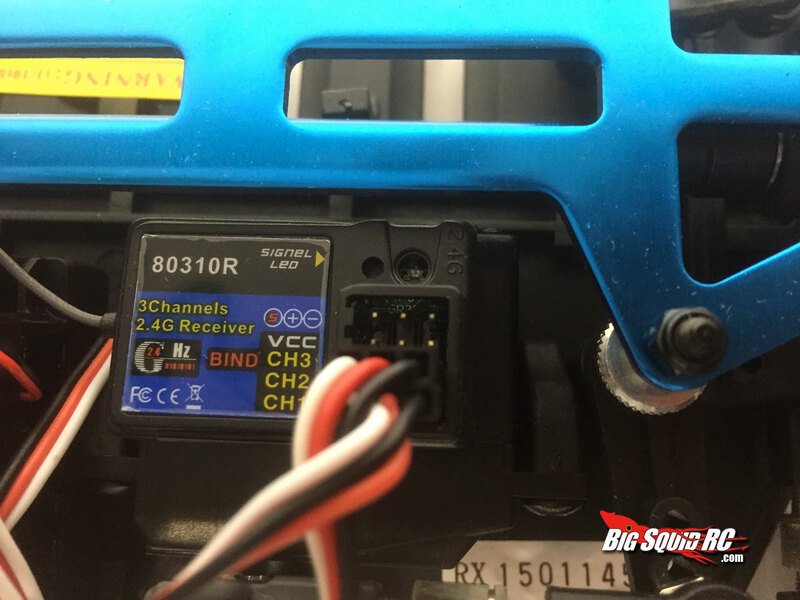 If you’re putting lipo technology in to the hands of first time hobbyists you had better build in some safety features. The Lipo cut off detection in the Speed control rounds out that package nicely. I found a few problems. 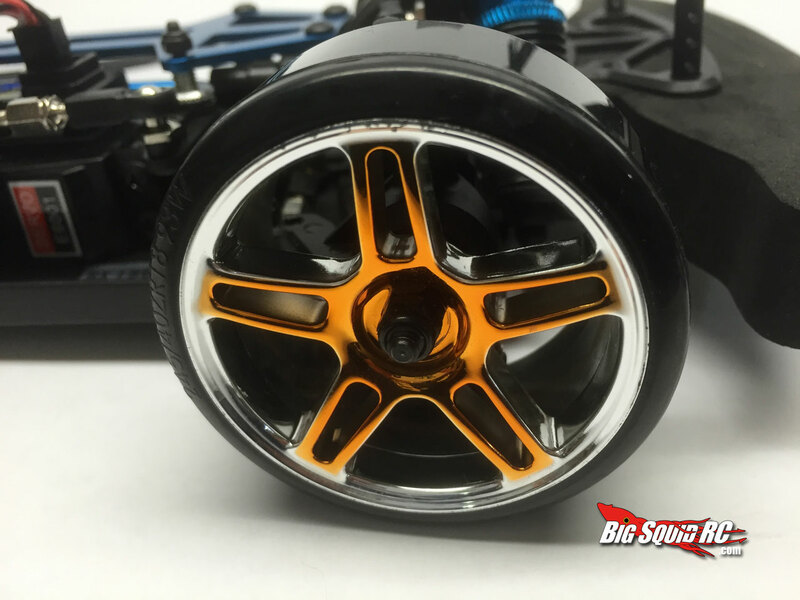 If you completely tighten the front wheels they will not spin. You must back them off a half turn to allow the car to operate. Another annoyance was that the shocks were only partially filled with oil effectively making them friction shocks with little to no dampening. They do have threaded shock bodies though which is a nice touch, but the collars do not seem to have orings in them which makes them feel very loose. Luckily we did not have a problem with them slipping at all during testing. 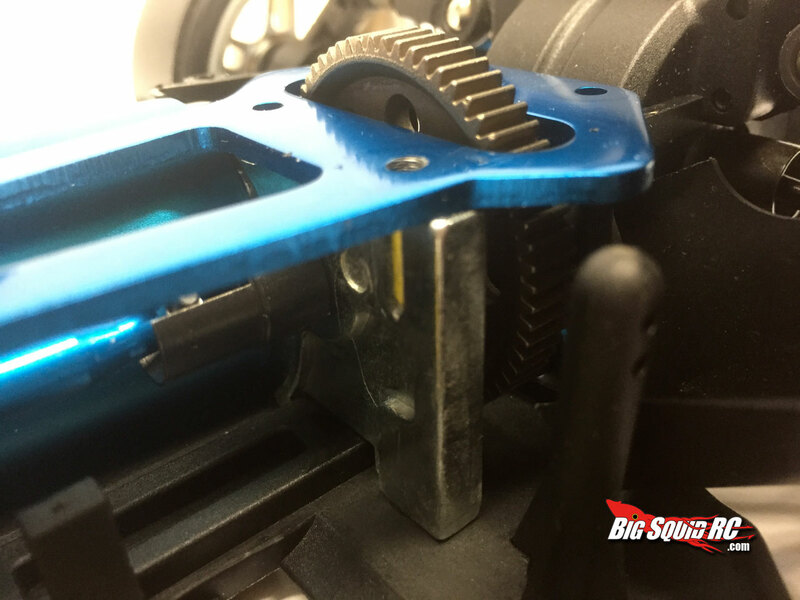 Other gripes are that suspension arms and uprights are made of such soft plastic that you can flex them very easily with your fingers, and the metal spur gear makes it sound like a bucket of bolts when its under power. 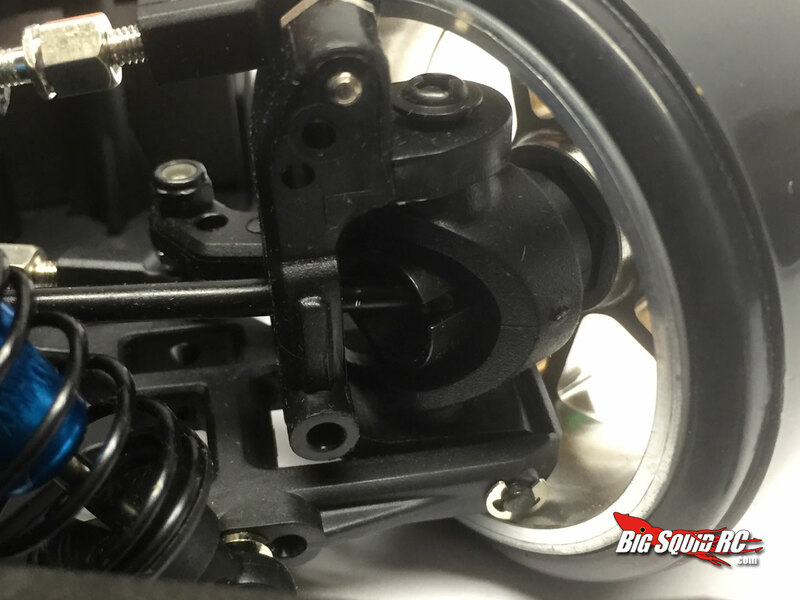 Parts are not available locally in most locations but they are all over the internet. 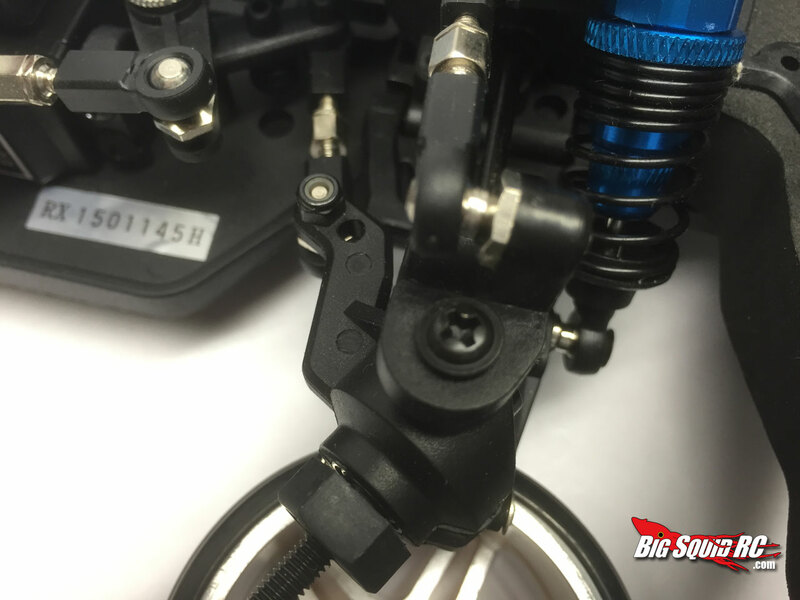 As Exceed and Redcat are pretty widely known you should not have too much trouble finding spares for the Fying Fish. 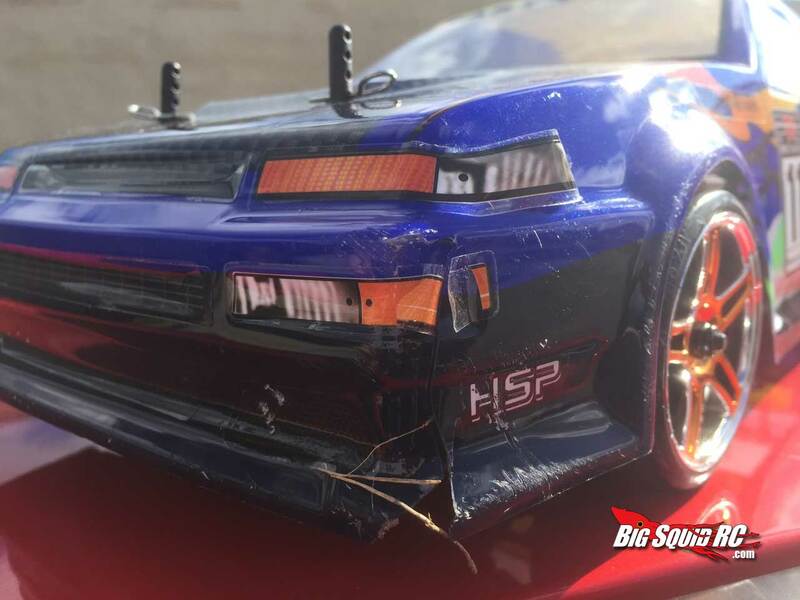 From the included documentation it looks like HSP also puts out a full line of hop-ups for their cars if you want to bling yours out. It is cheap. 133 dollars and some change at gearbest.com. 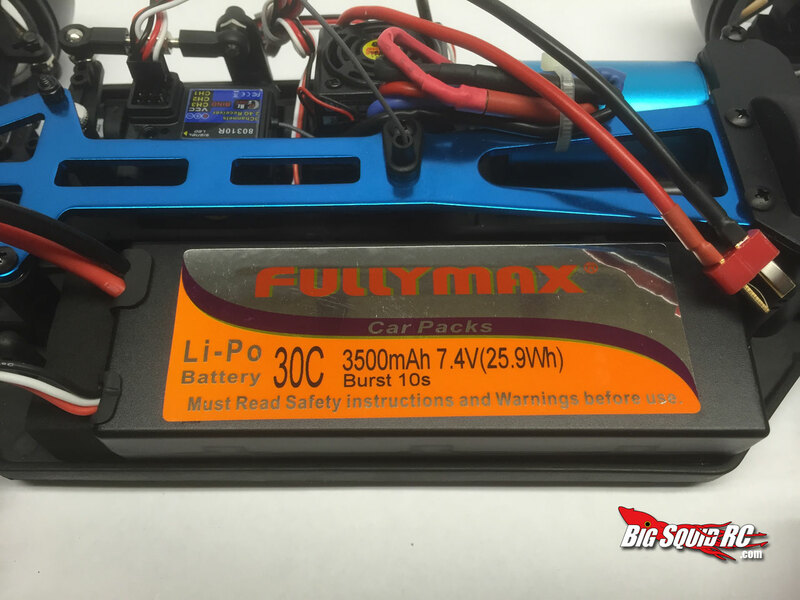 That is incredibly low for a brushless lipo car. The Fish is an updated version of the model that has been available for several years. 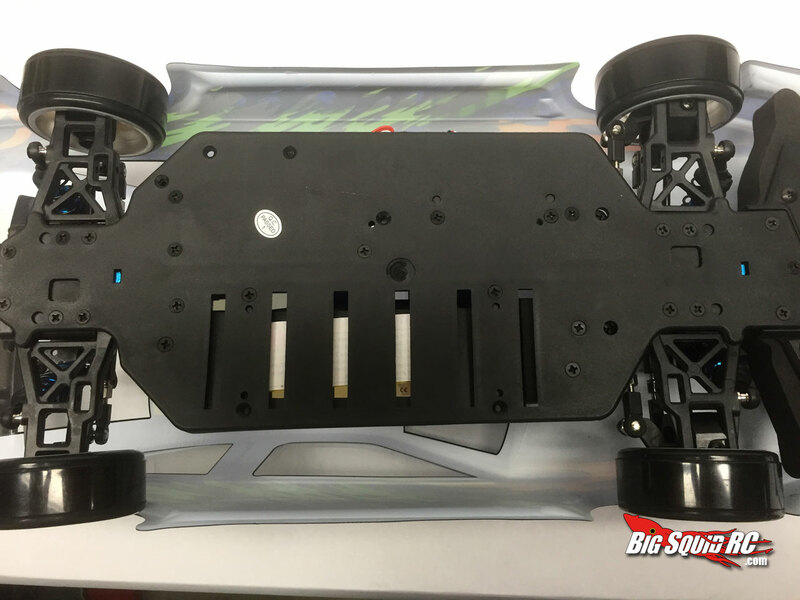 The chassis has not been updated to accept lipo and still has the cooling slots in the bottom plate to accommodate stick packs. 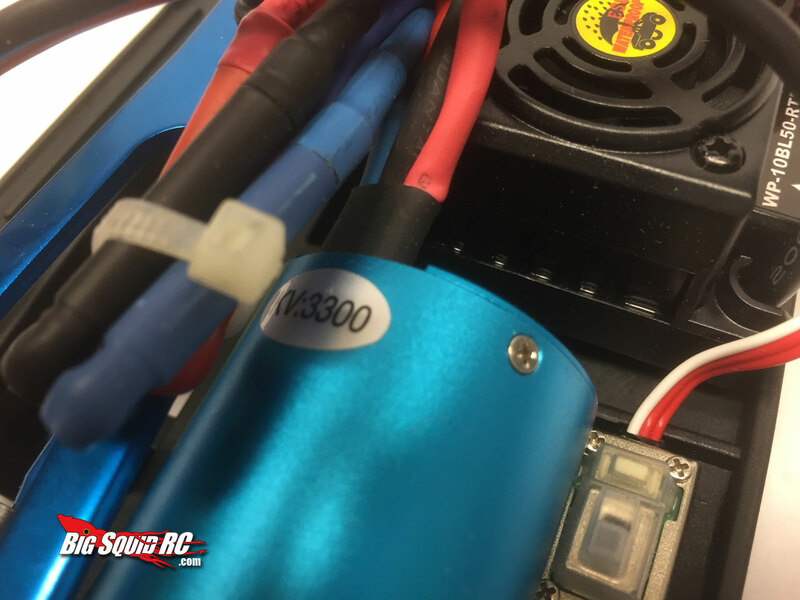 The result is that the lipo pack does not fit correctly. I even had it eject the pack on one rather hard roll over. 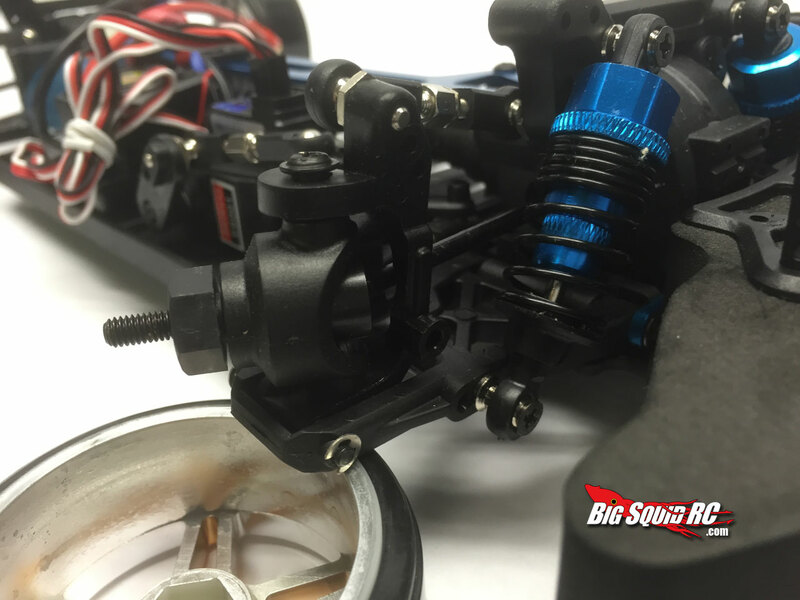 Ball bearings are standard and the included ESC has a low voltage cut off and is reprogrammable. The radio is 2.4 GHz is appears to be a Flysky. 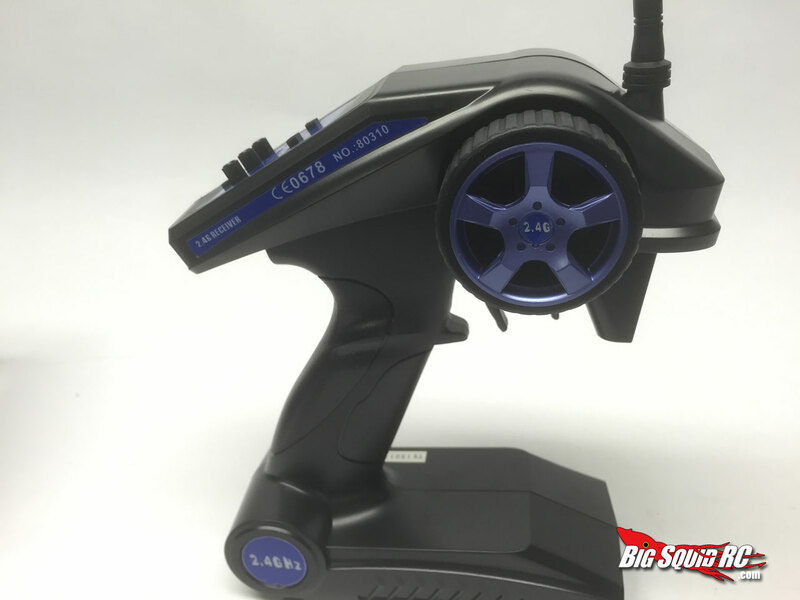 It doesn’t say it anywhere on it, but the receiver is identical and the wheel is a dead ringer for the one on my own Flysky. 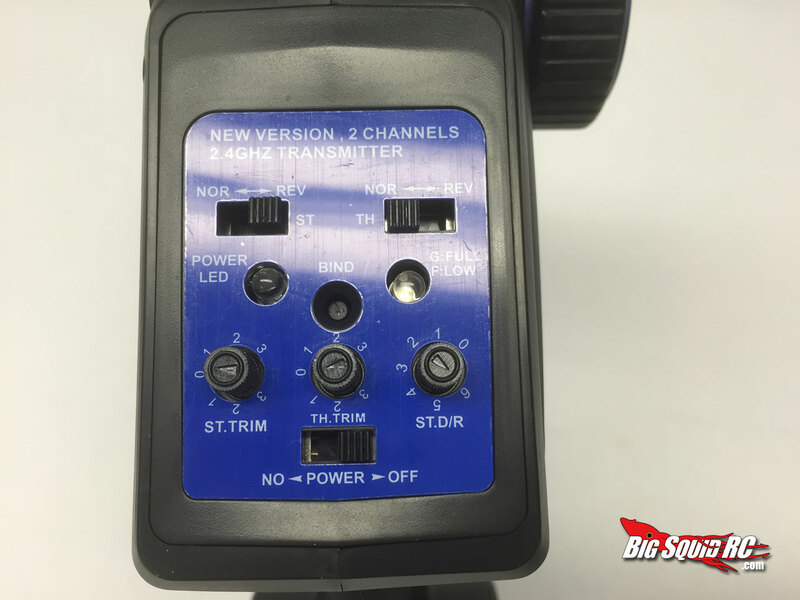 A good bang for the buck transmitter. I really have never driven a worse handling drift car. Even for a 50/50 car which should be friendly to drive it has issues. The tire choice isn’t the greatest for this chassis and it has a lot of rear traction which lends itself to pulling out of drifts under throttle, right out of a drift into snap oversteer. 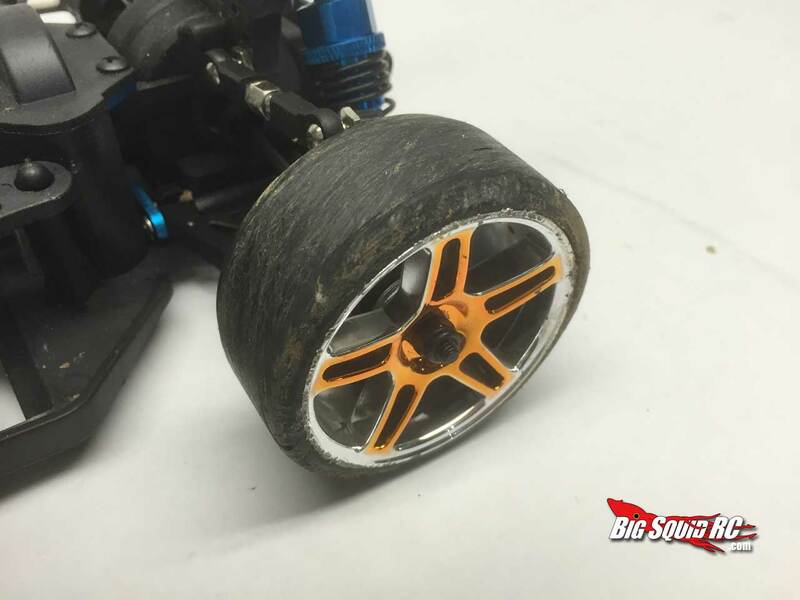 I think this is due to the suspension flex allowing the rubber sidewalls of the tires to grip when under load. It also has very limited steering throw. Pair that with the slowest steering servo i’ve ever used and its a recipe for frustration. Thats my assessment though. 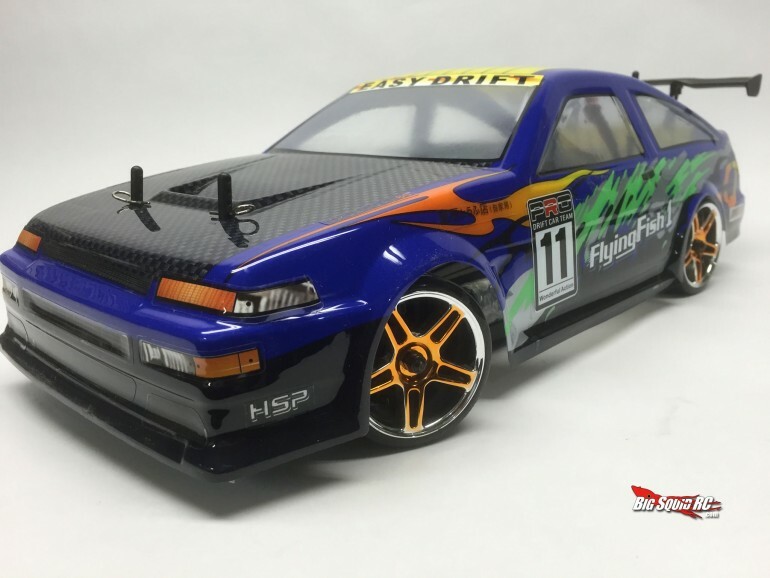 As this car is aimed at people new to the hobby I decided to grab a buddy who had not piloted an RC car since his childhood and who had never driven an RC drift car. Despite the Flying Fish’s handling flaws Steve had a huge grin on his face while driving it. He had even more trouble mastering the car and it spun in circles a lot. He didn’t seem to care. If you watch the product video at the bottom of this page the Flying Fish will look like a well behaved machine, but that was not our experience. I crashed the car mercilessly into the curb as fast as I could get it to go (which isn’t very fast) and the only damage at all was to the body. I don’t think the shell is made of lexan. Most likely some sort of PVC which tends to be more brittle. The 2 piece drift tires help up pretty well. An hour of running on asphalt with my normal outdoor tires would have yeilded about the same amount of wear, and I can’t complain too much about their performance. It did appear that either the extreme vibration or tire roll caused a lot of the chrome plating to part ways with the wheel. They looked pretty rough post testing. Multiple smacks into the curb yeilded no damage to the chassis at all. The built in servo saver did its job and and the Flying Fish took about anything I could throw at it. My opinion overall is a little torn. On one hand i’m impressed with the punishment this little car could take. Its flexi-plastic design helps it survive some pretty harsh treatment but at the expense of any real performance. 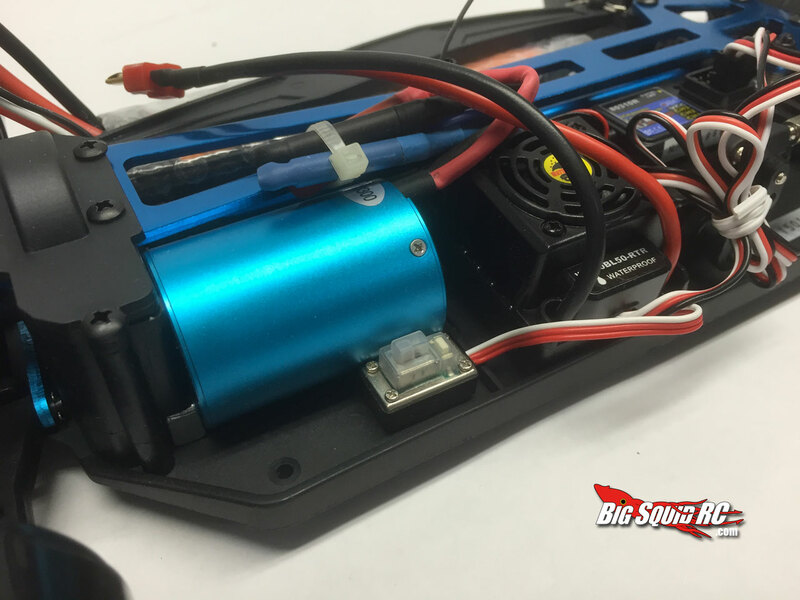 To the outsider it is very appealing because of its low cost to entry and features like lipo, brushless, 2.4Ghz found on higher end models. 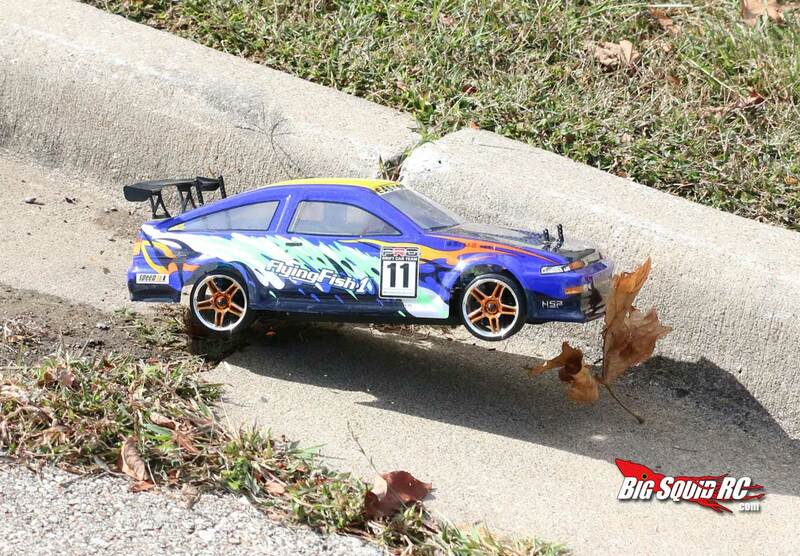 But this car is lacking in many areas that an experienced RC enthusiast would notice. I would say this car is a buy depending on your target audience. A child with nothing else to compare this to would surely enjoy driving it, and it seems like it would hold up to the abuse that a beginner could dish out, but if the customer were an experienced hobbyist that has any intention of going any further into drift there are much better budget options that are more likely to be able to grow with you as your driving skills progress. Given that info you can find the overall grade below. 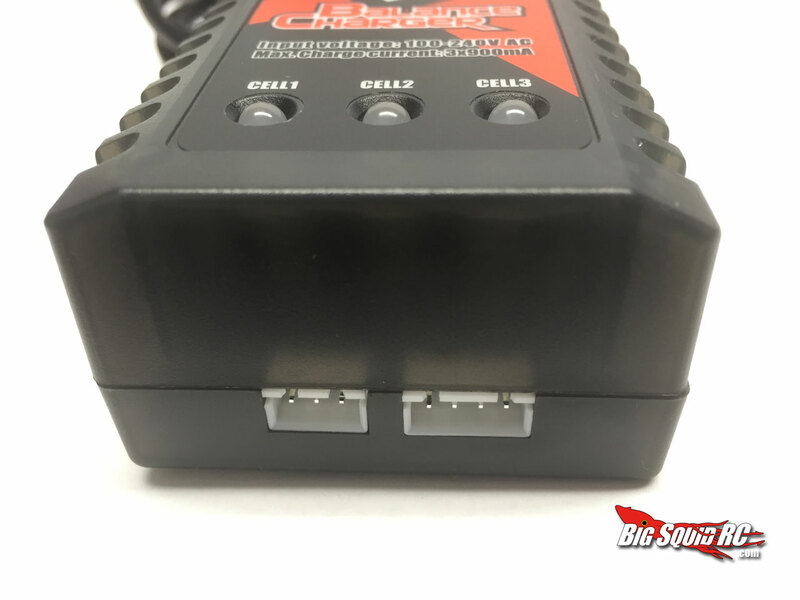 This vehicle is RTR but does not include double A batteries for the transmitter, also the charger would not plug into my wall outlet. It has some flaws, but it is fairly rugged. 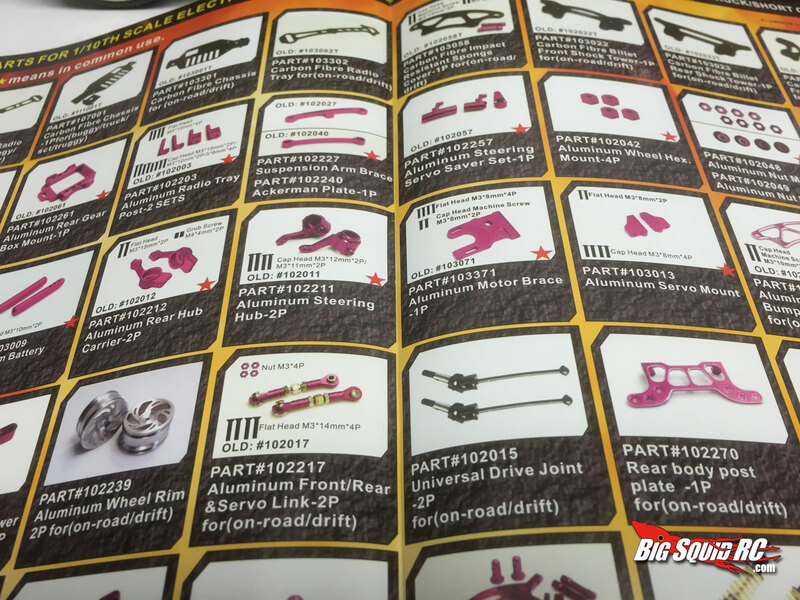 You won’t be able to walk into your local hobby shop to find parts most likely, but they should be easily sourced online. I’m rating the power package at a B, its not overly powerful but waterproof is a nice touch and it’s geared appropriately for the target audience. Extra points for lipo. I’m giving durability a B because while I think the car itself held up really well, the body shell however was sub par. 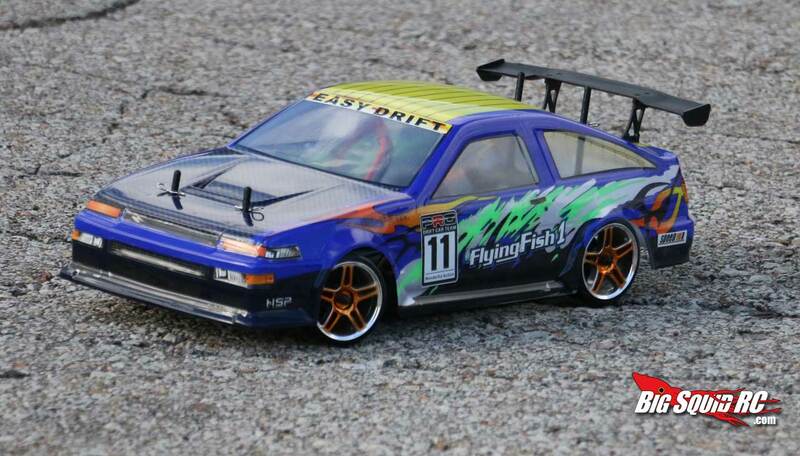 A solid buy for a casual hobbyist, but not much on offer for the aspiring drifter. Want pick up your own Flying Fish? You can get one now at Gearbest.com here. 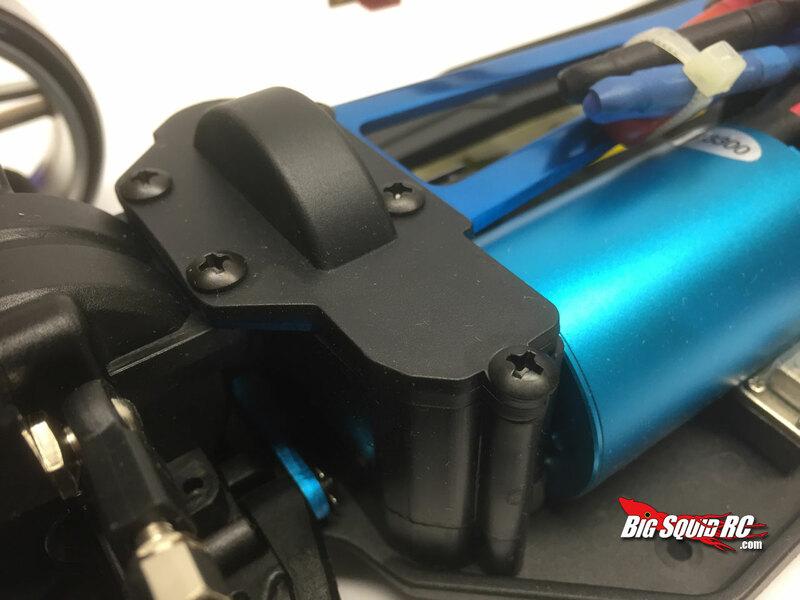 If you want to read more Drift news on Big Squid click here!